How can I get my AutoCAD 2010 LT License reinstated. My program keeps crashing and I think it is a license issue. Do you receive any error message about licensing, when AutoCAD crashes? no it just crashes when I try to draw in the program. I can print files and save files but not alter them in any way. Okay. First off, please go to Start, type in 'Folder Options' in the search field, and press ENTER. In the folder options window that comes up, click on the View tab, then select 'Show hidden files and folders', and click Apply > Ok.
Right-click and DELETE the Autodesk folders from each of these locations, then re-open the program thereafter. Check if this resolves your issue with the program; do keep me posted. still no results. Then I uninstalled the program and am now reinstalling it. I have followed all of your suggestions and the program still did not work. I have uninstalled the Program and now it won't reinstall. I get a Fatal error message. Is there anyway to get in touch with Autodesk tech support. The answer did not solve the problem. I need to work with an Autodesk specialist. When I tried to reinstall the software. I get a fatal error message. Hi, Thanks a lot for posting your query here. I am Jins here to assist you. Some drivers and programs have problems on installing in windows 7. Please follow the below steps. You should see a message that the command completed successfully. Log out, and you’ll now see the Administrator account as a choice. Restart the computer and login as Administrator again. Now click here and download ccleaner. It is a freeware registry cleaner. Install and launch ccleaner. Click on the registry icon on the left side of ccleaner. Click on Scan for issues button. After completing the scan click on Fix selected issues button. 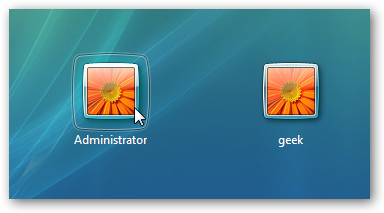 Restart the computer and login as administrator. Install Autocad again and check. Having trouble transferring the license to another computer.